Airtel to buy spectrum, equipment of Anil Ambani's white elephant RCom? The company on November 11 confirmed a quarterly loss of over $27.09 billion as compared to 620 million of profit a year earlier. There seems to be some hope for Anil Ambani's debt-laden firm, RCom, after a fierce price war started by his brother's Reliance Jio that left the company in tatters with tumbling revenue and exponential rise in its debts. Telecom giant Bharti Airtel is likely to buy its select spectrum and some equipment. A loss-making entity with Rs 45,000 debt to pay, RCom recently announced to close 2G and 3G operations from November 30. The company on November 11 confirmed a quarterly loss of over $27.09 billion as compared to 620 million of profit a year earlier. Reliance Communication has offered pay Rs 27,000 crore of the total debt through asset monetisation, Rs 7,000 crore through a 'non-loan write-off' plan to lenders to convert it into equity, and Rs 6,000 by carrying forward it to new business. However, lenders are yet to accept the proposal, reported PTI, adding that ever since RCom announced the sale of its assets, including spectrum, equipment and fibre, several companies like Bharti Airtel Reliance Jio, Vodafone and Sistema, have shown their interest in buying these properties. However, the deal will not be a cakewalk for Airtel as Reliance Jio will also be vying for the spectrum in 850 MHz band, which is considered super efficient for 4G internet services. Lenders comprising several local and international banks have appointed SBI Cap - the investment banking arm of RCom's top lender State Bank of India (SBI) - to seek interests for the telco's assets, reported the Economic Times. 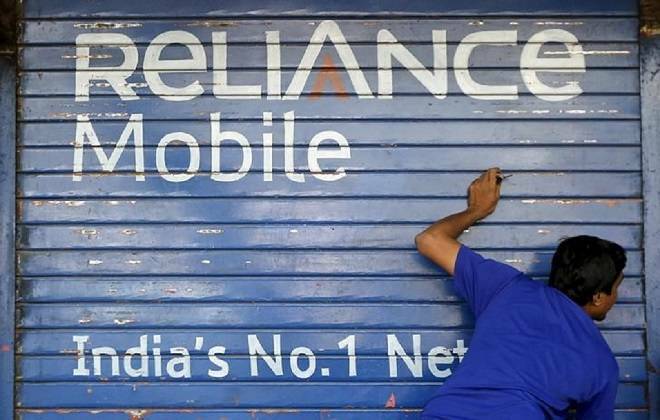 On November 20, lenders of debt ridden Reliance Communications approved the sale of its real estate assets in Delhi and Chennai to Canada-based asset management firm Brookfield, PTI quoted a source. As part of its asset monetisation plans, RCom has been working on finding investors or buyers for prime real estate assets, including at Dhirubhai Ambani Knowledge City, Navi Mumbai, measuring nearly 125 acres with development rights of potentially over 17 million sq ft and prime property of 4 acre near Connaught Place, New Delhi. The company is in a standstill period (for interest and principal repayments) till December 2018 and expects to complete the SDR process as per the RBI guidelines. RCom is also in talks with Brookfield for selling its mobile towers. The company expects telecom tower and real estate businesses to help pay off Rs 27,000 crore. On November 4, a unit of Canada's Brookfield Asset Management said it is evaluating a number of telecom tower portfolios in India to scale its presence after talks to acquire over 40,000 towers from debt-laden Reliance Communications hit a snag, reported Reuters. The deal with Brookfield hinged on Reliance Communications or RCom merging its mobile operations with rival Aircel but the merger was called off last month due to regulatory delays and legal uncertainties, the agency added.